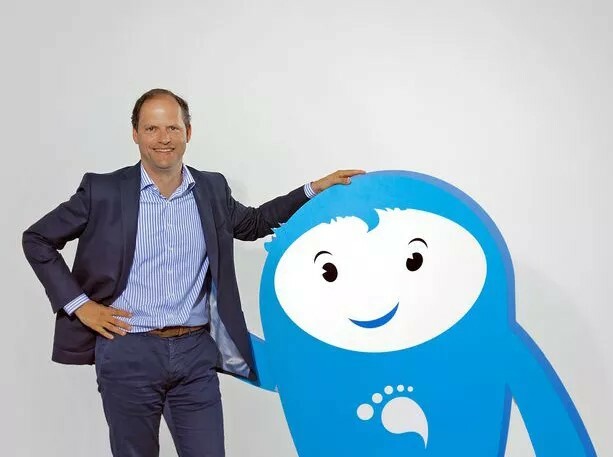 In just a few years, the Luxembourg start-up Talkwalker has become a global player. And its acquisition, at the end of 2017, by the American investor Marlin Equity Partner, gives it an additional dimension. In June 2012, when 29-year-old Thibaut Britz was awarded best young creative entrepreneur by the Luxembourg Junior Chamber of Commerce, he could never have imagined that his idea – the creation of a tool that can monitor and collect targeted data on the internet – would develop into one of the most remarkable success stories for a Luxembourg start-up, a moniker it can no longer go by. Created in Luxembourg in 2009, the Talkwalker company (which also has offices in New York, San Francisco and Frankfurt), currently has nearly 200 employees, including 150 in Luxembourg. Additionally, in its service to 1,200 customers, it oversees some 30,000 brands. Specialising in the protection and promotion of brands and their reputation on social networks, as well as in optimising their presence on these same networks, the tool is certified by Twitter. For three years in a row, Goldbach Interactive has also ranked it as one of the top ten global monitoring and e-reputation tools. Its state-of-the-art technology scans more than 150 million real-time web sources in 187 languages. Talkwalker began its adventure at the Technoport premises followed by installation in those of Lux Future Lab before moving to larger premises in downtown Luxembourg in 2016. With an almost continuous recruitment process, Talkwalker finds itself at the centre of a rich pool of human resources talent it can draw from concentrated within a radius of 100 km around the capital. “In terms of recruitment, Luxembourg has many advantages,” says Robert Glaesener: “a quality education system, an international and attractive environment for qualified executives who want to settle there, and a very good infrastructure that connects Luxembourg to surrounding countries. This is enough to nourish the ever more international ambitions of a company which itself has employees of more than 20 nationalities. The acquisition of a majority stake (for an undisclosed amount) by Californian private investment fund Marlin Equity Partner at the end of 2017 is perfectly in line with the desire “to accelerate its growth and consolidate its status as a leading platform (…) by leveraging Marlin’s operational resources and experience in high-growth technology companies,” the press release announcing the transaction explains.